Huge announcement from the CSA Surf Canada. We are very excited to announce that Surf Canada Nationals is a GO! It has been 30 years since the first contest that started this all was held at Long Beach, and we are so happy to be back again, just south from the original contest site, at Wickaninnish Beach! Some of you have competed in Surf Canada sanctioned events before and for some of you this will be your first time, and we hope you are just as excited about competing this year at Wickaninnish Beach as we are! Each year we strive to make the event better for all competitors and spectators and we feel like this year’s event will be the best one yet! 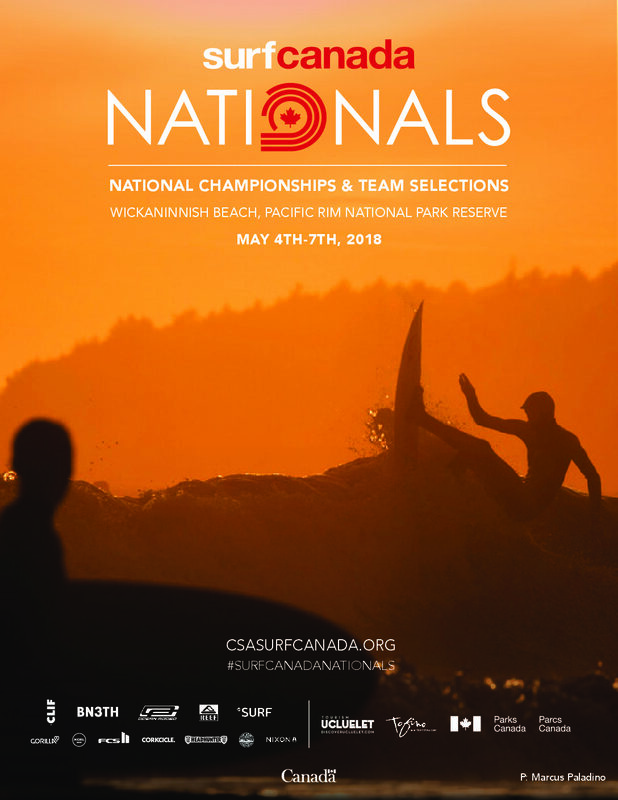 We hope to see each of you at Wickaninnish Beach May 4-7 for this years Canadian Championships and celebrate the gathering of Canadian Surfers from across the country and around the World. 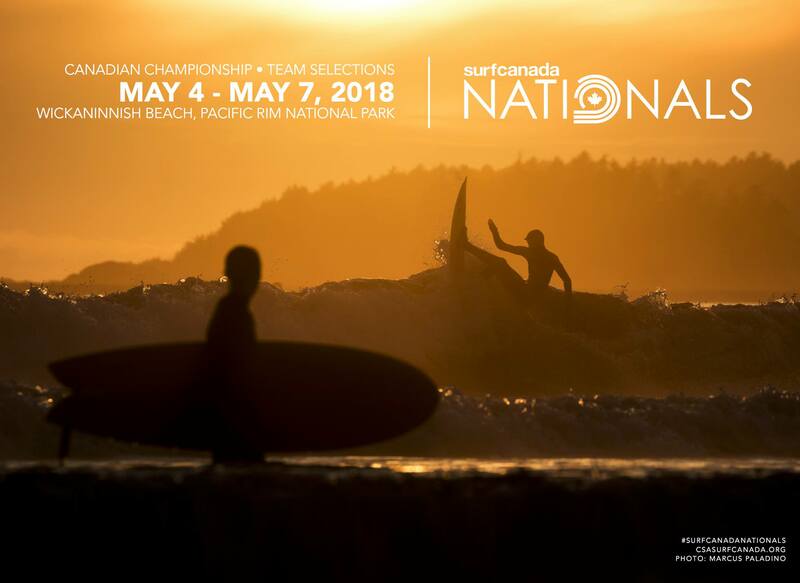 2018 Surf Canada Nationals is the National Championship and Team Canada Surf and SUPsurf selections for ISA Worlds and PanAm Qualifiers. Open Shortboard, Junior U18, Junior U16, Longboard, SUP Surf, and Adaptive (TBD). By Registering and having your credit card charged for this event has you waitlisted for your category, but does not confirm entry. You will be notified if your registration has been confirmed or declined at or before the close of registration. Confirmation will be based on 2017 event seeding, sponsor wildcards, and time stamp of your registration. In the event that your registration has been declined due to overcapacity, your entry will be fully refunded. 2) If eligible, Surfer’s are permitted to register for more than one category. There is no discount for multiple entries. 4) Only those with a valid Canadian passport or a Canadian Citizenship Certificate will be eligible to compete and proof of documentation must be shown at on-site check in before being eligible to compete. Entry will be forfeited without proof, no exceptions. 5) Please be mindful that we are guests in the National Park and all rules still apply; Pay Parking, No alcohol and Dogs must be on leash at all times. $60/division before closing 6pm Pacific Time April 15th. 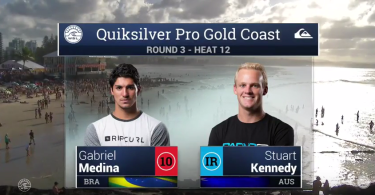 Adriano De Souza is your 2015 WCT World Champion.